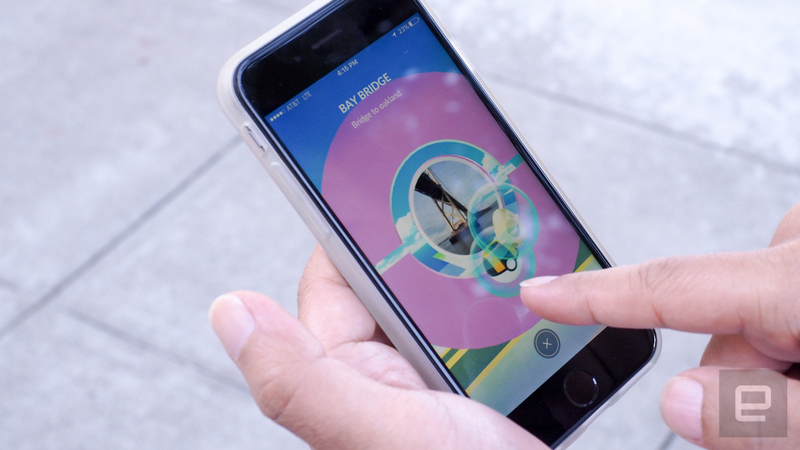 'Pokemon Go' was just the beginning. Last year's Game Developers Conference was ruled by virtual reality. From Sony detailing its PSVR launch plans to Oculus showcasing the first batch of games for the consumer Rift headset, you couldn't swing a Meowth at the event without hitting a VR booth. But perhaps fueled by the success of Pokémon Go in 2016, augmented reality has become the new industry darling. That's not to say VR has been kicked to the curb completely, but at GDC 2017 we saw the emergence of AR as a compelling technology for gaming and beyond. Take Epic Games, the maker of game-development platform Unreal Engine: It showed the potential of high-end augmented reality with "Project Raven." The company has created a tool that lets content creators, like filmmakers, merge visual effects with live-action shots. Epic Games said at its GDC 2017 keynote that in TV or movie shoots, a single computer-generated frame typically takes an hour to render and days of editing before it can resemble a photoreal image. With Project Raven, which will be coming to Unreal Engine later this year, a director of photography can essentially get a live preview of what a CGI scene will look like. For Hollywood, this could be a game changer. Epic Games has also partnered with Chevrolet to create an experience for Google Tango that gives users a 360-degree view of a Camaro ZL1. 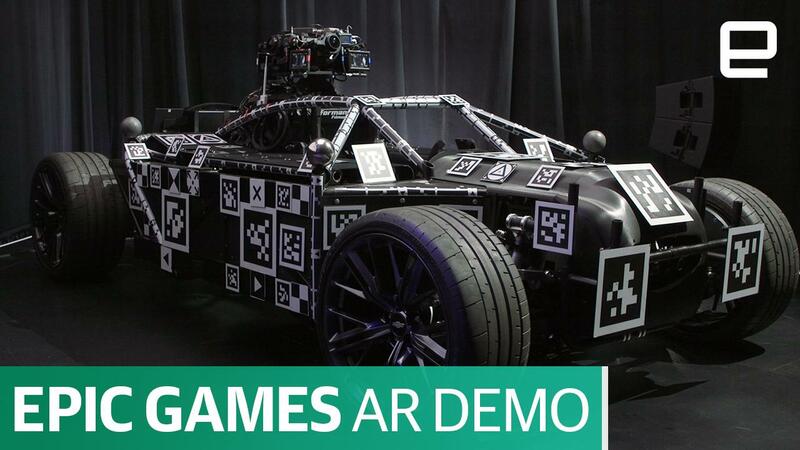 The software uses 3D depth-sensing features from a compatible device, such as Lenovo's Phab 2 Pro, to show different angles of the car as you configure it to your liking in real time. Right now it only works when you change the ZL1's color, but there may be options to tinker with the rims, headlights and other parts later on. Epic says the idea is to give you a more immersive view of your dream car rather than imagine it by looking at mockups from still images. Meanwhile, Microsoft announced at GDC 2017 its plans to bring mixed reality to the Xbox in 2018. That's going to be huge for consumers, particularly those who own one of the company's latest consoles. Even though Microsoft prefers to refer to its efforts in the space as mixed reality, not augmented, they're basically the same thing. The goal with AR and MR, unlike with VR, is to blend digital objects with environments from the real world. Up until now Microsoft's been showing the capabilities of mixed reality through HoloLens, but that's a $3,000 device that not every consumer (or even some developers) can afford. 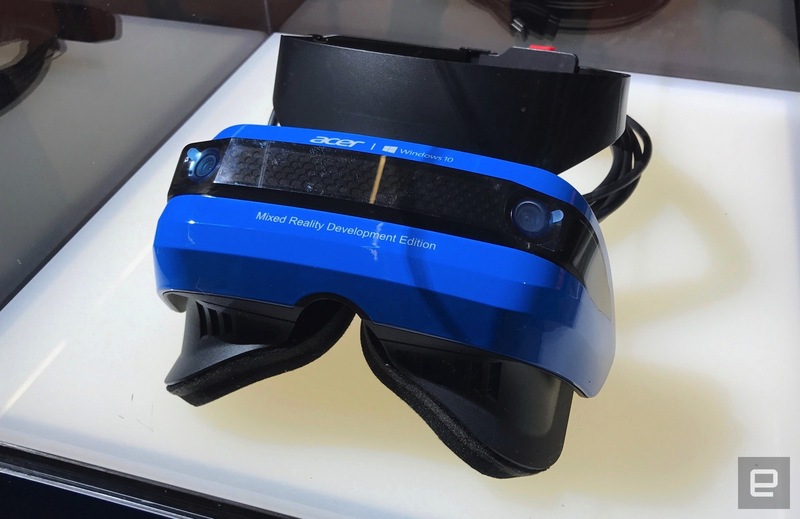 That's where Acer's Mixed Reality headset, revealed last week, comes in. While the price remains unknown, it's expected to cost much less than Hololens. Microsoft says this will give more developers a chance to build mixed reality experiences for Windows devices, including its PCs and Xbox -- which could be an alternative to Sony's PSVR. The tech giant was coy about its strategy for mixed reality and consoles, but we'll likely learn more about that at its Build conference or at E3, happening in May and June, respectively. In case the augmented reality boom wasn't clear enough, Pokémon Go capped it all off by winning Best Mobile/Handheld Game at the GDC awards. The title from Niantic edged out Nintendo's Super Mario Run for the top honor in the category, showing how important the AR game was to the industry. As for why augmented reality could be more compelling than virtual reality, it may come down to a couple of factors: motion sickness and hardware setup. "For a very significant portion of the population, it doesn't take very long for you to feel nauseated using it [VR]," said an executive for a major technology company involved in the AR space who asked to remain anonymous. The exec went on to say that one of the main problems with VR headsets, at least high-end ones like the Oculus Rift and HTC Vive, is the amount of work that goes into setting them up before you can use them. "The primary reason that these devices will get returned is people gave up when they were trying to set them up," the executive said. "The positional-tracking, drilling holes in your walls or getting the beacon, it's way harder than it seems like it should be." There's no doubt that augmented and virtual reality can coexist, and it's up to consumers to use the medium best suited for their needs. We know what developers can do for gaming with both and how fun it can be. But there are areas where AR has the potential to be more useful than VR, including medicine and education, where you need to have some sort of real-world interaction to make the most out of the technology.